This shot was taken on December 20,2016 at 11:43 AM. The location was in the Dupont Circle district at a Historic Home. The "Take It!" came from a flair up of one of my few pet peeves. The wrapping of a handrail with either lights or garlands during the Christmas Season. This bit of well intentioned decorating has the handrail rendered useless to the person who may actually need it to navigate the stairs. There have been times when I have been walking with an injured knee, and needed this extra bit of support. One can carefully pick their way through it - but it seems that this decorating gesture could be directed to a different location. The After Take: There, I have said it. lol. In this world of every day being a gift, I am not one to usually complain. So, thanks for listening. Lol I've never thought about that, I can see how it'd be obnoxious. See I grew up doing that but Jim hates it too so we don't do it anymore. Oh I am right there with you on this one. It has evolved beyond pet peeve for me though. When it comes to Christmas decorations I am a more is better kind of person. Heh, I've never noticed this before. Guess I will now! Ha Ha Ha. We are guilty of this in a way. 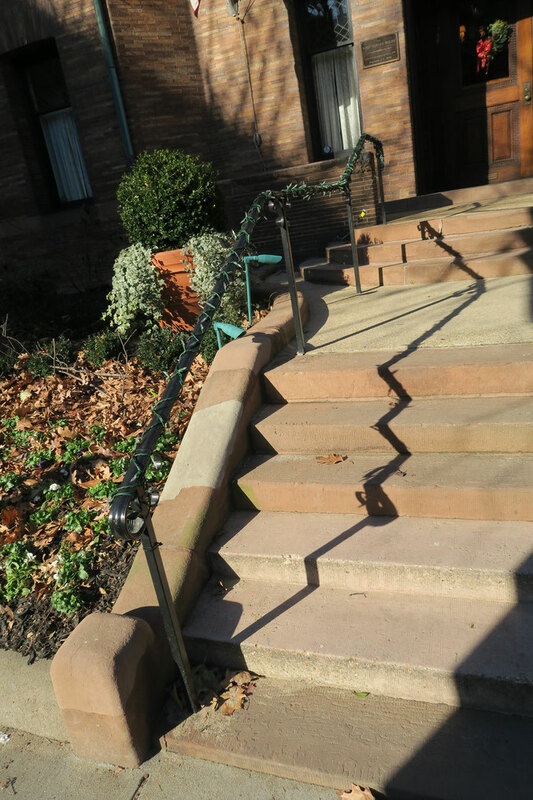 We don't put them on the porch handrails but we do wrap them around some of the patio bench handrails in our front yard. Along the mailbox as well.